I have a strange idea, that is the idea to change the health theme blog that is named effective property to be a tourist-themed blog. It's strange, is not it? because the second theme of the article is not suitable if put together on the Blog Khasiat Jitu. Blog Khasiat Jitu is one of the blogs that I have. This blog has not been filled with the latest posts. Most of the blogs have useful properties to write about the benefits of plants, and fruits. Blog effective properties made at the beginning of January 2016 and most of the writing on the blog is a re-write from several sources. The longer writing on the blog Khasiat Jitu with the theme of health makes me bored. So the blog was forced to be abandoned. Right now I'm starting to think to write back on the blog Khasiat Jitu but with a different theme than before, the Theme of the Tour. Why do I want to re-write the blog Khasiat Jitu? 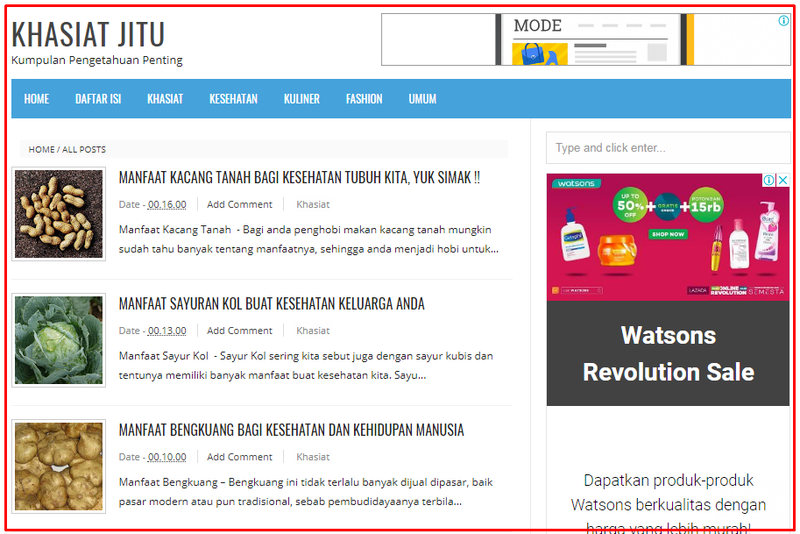 Top Level Domain Blog Khasiat Jitu is quite old when compared with my other blogs. So it is very lossful if the blog Efficacy is not allowed to write in the contents of the latest posts. Though every year blog Khasiat Jitu always pay the Top Level Domain rental fee. 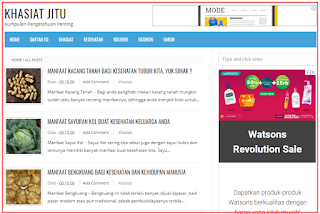 With the Active blog Efficacy, Jitu may be a lot of knowledge or new experience that I will get. Likewise, with blog readers efficacy telling maybe they will get some useful knowledge. Tourist attractions in Indonesia are many, but in general, I do not know it well. The way I use to find out is to read from one blog to another blog then I rewrite. Results of the article about the Object I will publish through blog Efficacy telling. So by using this method then I will get two advantages, that is first I will have a lot of knowledge about the tourist attraction and both blogs will get the latest properties. What do the readers think? any suggestions or Opinions? I am ready to accept it.